The Dalai Lama once said, "once a year go someplace you've never been before", and we completely agree! Traveling does the body, mind, and spirit a great deal of good and we challenge you to do just that. However, the bottom line is that travel does cost money. You have to spend some money to travel. But the good news is that we have some some great ideas for traveling on a budget! Travel during the "shoulder season"
You may not have heard of the term, shoulder season, but it is a great time to travel! It's just before, or just after, a destinations peak travel season. This is the perfect way to save a lot of money on accommodations because most places will give great discounts to fill up their occupancy! 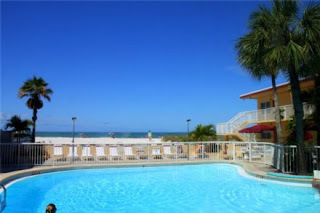 1 bedroom vacation rental on Madeira Beach for $60-$110/night! Let's face it, the less fancy you get, the cheaper the accommodations usually are! Smaller resorts and vacation homes cost far less than your full service resort or large scale vacation home. But that doesn't mean your rooms and amenities will be in poor condition! Unless you are looking for luxury, staying smaller is a win-win situation! 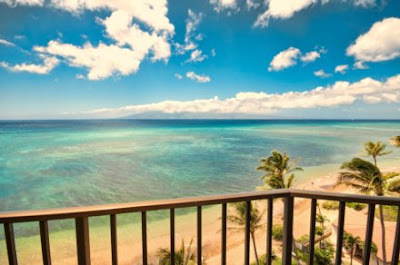 Check out this oceanfront complex, with fantastic views and an oceanfront pool! Sometimes, flying is your only option. So if you must fly, look for budget airlines, or airlines that fly into regional airports. You can save hundreds of dollars by avoiding the large airlines and large airports! If you are in an area that has a train, use it! Europe has one of the best transit systems in the world. You can hop on the train and visit many fascinating destinations for very little euros! Or, hit the road! If you are within 12 hours of your destination, why not drive? Sure, it's a long day of driving, but if you are a family of 4 you can save over $1,000 just by driving. Break travel up in two days and do some fun sightseeing stops along the way! Do your homework! Before you travel, look around at area restaurants and find out when they have happy hour (usually includes great food specials too), or early bird meals. Look into discounts for fishing charters, or discounted tickets for things like museums, water parks, golf, and shows. Many places will offer deals like buy two get one free, or after 4pm specials. Matinees are another great way to save! Most often, vacation rentals cost far less than a hotel room and come with great amenities like a full kitchen, living room, dining room, and free WiFi. While most hotels are still charging for WiFi, it's an added benefit at most vacation rentals (always check if they offer it!). The kitchen is a huge plus as you can make your own meals, have your morning coffee from a full size coffee maker, and your evening drinks for much less than going out. Take a look at this oceanfront vacation condo in Maui, Hawaii! For less than half the price of a hotel, you can wake up to this beautiful view and have way more space too! These are just a few helpful tips on how to save some cash while traveling! 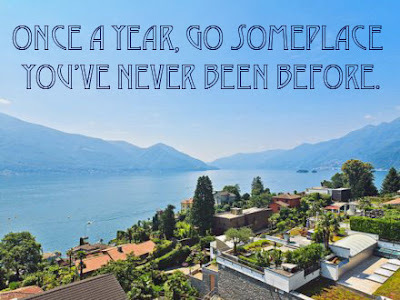 We hope we have given you some great ideas to allow you to travel more often, or at the least, "once a year go someplace you've never been before." Want some help planning your next vacation? Contact our Travel Specialist! We love to help our customers find the perfect place for vacation!